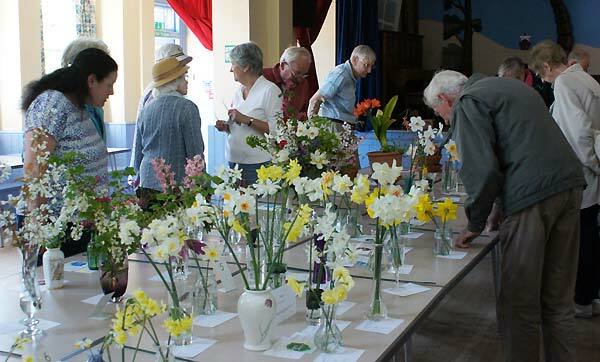 With Spring definitely in the air this year the Farringdon Horticultural Society Spring Show attracted a selection of spring flowers from village gardens to the Village Hall on Saturday morning. 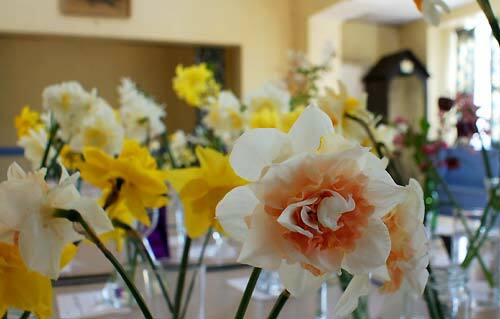 This year it was actually slightly warmer outside than in the Hall, providing you were in the sunshine. 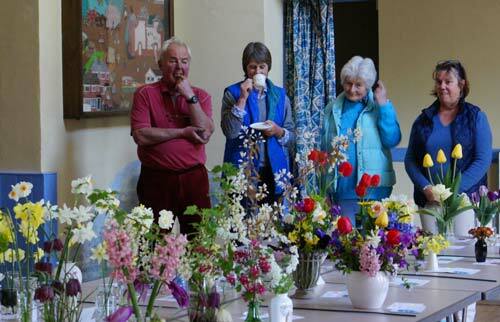 Inside there was some colourful displays awaiting the arrival of Show Judge. By the time your reporter arrived most of the entries were in place but there were still a few entries arriving to keep the show secretaries table busy as the 10:30 deadline approached. 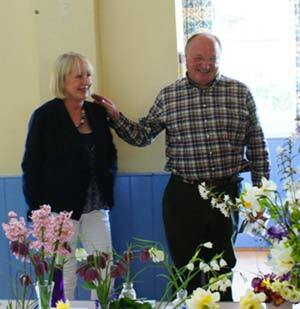 The arrival of Judge Butler signalled the end of the festivities and the serious business of adjudication began under the watchful eye of Judges Steward Anne Schermbrucker and Horticultural Society Chair, Phyll Watts. 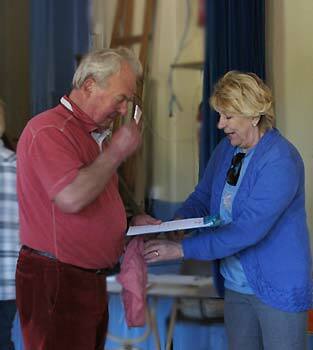 After lunch the Hall reopened and was soon filling with exhibitors keen to see if the Judge had decided in their favour. 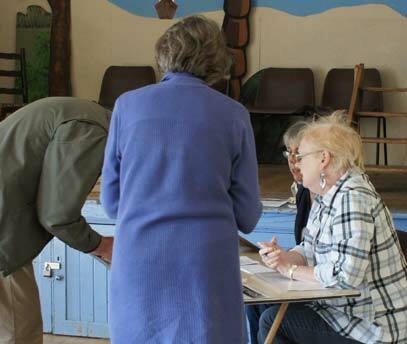 As an added attraction to the Spring Show, the 100 club monthly draw, made under full public scrutiny by Phyllis Watts under the watchful eye of David Horton produced a happy outcome for Jill Brian and Emma Dillnut. 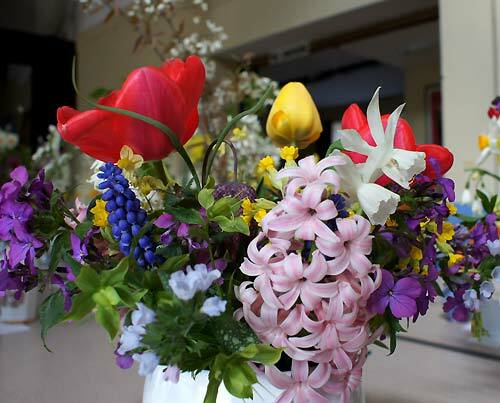 Once again Show Chair Phyllis Watts took top honours, and thanks to Brian Williams we have the class results available for your perusal below. 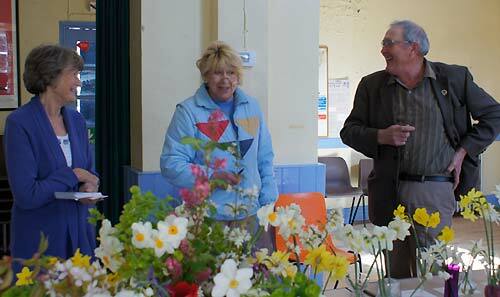 This years event was overshadowed by the loss of Mike Edwards who sadly passed away on the day before the show. 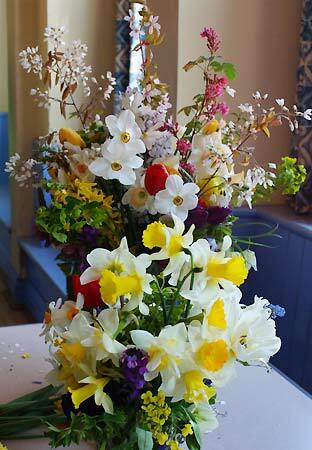 Our thought are with his wife Jane and as an expression of sympathy from villagers at this difficult time she was presented with these arrangements of Spring Flowers created by Caroline Roe and donated by exhibitors.